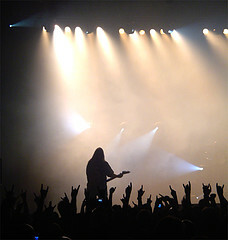 Many guitarists learn the introduction to a song and nothing else. They’ll play the first four bars of Crazy Train or ACDC’s Back in Black and that’s it. By learning the whole song you will appear as a guitar master! Now, with most songs there are several guitar parts: rhythm, lead, overdubs, etc. Make your way through the song using any part you like and that fit’s your level. Songsterr.com has a great feature where you can switch between the different guitar parts, so I’d check that out. If a band is looking for a new guitarist who do you think they’d prefer, the player who can only play little pieces or the guy who is used to playing whole songs? The average listener picks up on bad rhythm as much as bad notes. If you are trying to dance or even just tap your foot to a song and it doesn’t stay on the beat that’s bad. The guitar is primarily a rhythm instrument, so guitarists better have good rhythm! Two tips on this one. Play along with recordings and play with a metronome. If you have tried playing along with recordings and find they are two fast I would suggest using a slow downer like the Amazing Slow Downer. A metronome is like having a drummer (albeit a boring one) with you. It gets you used to following a steady beat, it helps set your internal clock. Now, speed is not the only thing a guitarist needs, but it helps if you’re trying to impress your friends! The way to develop speed is to practice slow with efficient movements. Any wasted motion while playing slows you down. 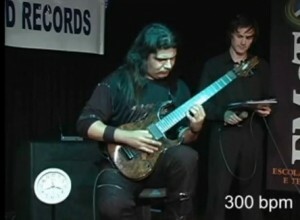 Check out this YouTube video of the world’s fastest guitar player. (Scroll to the end for the really fast stuff) Notice how little his fingers move? That’s what we all need to do to get fast. Think of it this way. If I was running a mile-long race against former Olympian Carl Lewis I would lose. Big time. But, let’s say he had to run 20 miles and I only had to run 1. Then I might actually come close to victory. Same thing with the guitar. Move less and you’ll play faster. Not every great guitar player knows how to read, but just about every great studio guitarist does. Studio players are the most versatile and dependable of players, and they have to know how to read. Learning to read music opens the door to many different styles and makes learning new music fast. Plus it helps you communicate with other musicians. Imagine if Shakespeare couldn’t write. Instead he just told everyone the lines he had in mind. Would we still be watching his plays? Our free guitar notes course should get you started if you are new to reading. Knowing the notes across the entire guitar neck should be the goal of every aspiring guitarist. Too often I have seen players learn to read in the first position only (the 1st 4 frets). Then when they need to play a higher note they have to leap up, not always with good results. If you know the whole neck you don’t have to move around so much and can stay in one position. This helps players increase speed and accuracy. Also, each area of the guitar has a slightly different sound. 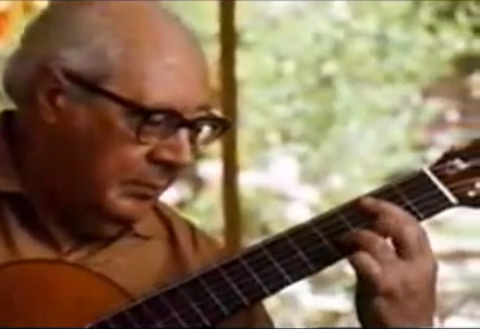 Andreas Segovia said that the guitar is a miniature orchestra, capable of so many different sounds. By avoiding the higher regions of the guitar you are missing out on the different timbres the guitar is able to create. Plus the upper parts of the guitar offer more expressive capabilities, like a rich vibrato or pitch bending, that the first position lacks. Scales have been given a bad name. I’m reminded of my first piano teacher hovering over me with ruler in hand incase I screw up yet another scale. Really scales are a huge help! It’s as if someone took 1000 songs and boiled them down to a little bouillon cube. Scales contain parts of every song you’ll ever play. So when you practice scales you are really playing 1000 songs all at once. Plus they are great for creating guitar solos. I suggest learning the CAGED system for scales. More on this in our CAGED section of our blog. Now we’re getting to the fun stuff. Okay, maybe fun isn’t the right word. But we’re getting to the important stuff! Why? If you know Music Theory you understand music better. You know why one song sounds happy and another sad. It’s like looking under the hood of a car and knowing how it works. Music theory helps musicians learn music faster, compose better, improvise, and avoid mistakes. Start with our music theory for beginners course. Music is sound. Get to know your sonic world by training your ear. Musicians should be able to identify the distance between two notes just by hearing them (without the aid of the guitar!) Chords, scales, and rhythms are equally important. The ultimate goal is that you hear music (that includes music “in your head”) and are able to produce it instantly on the guitar. GuitarGames.net has several resources for developing this ability. Start with Ear Tester and learn to identify intervals. I suggest you run through our Interval worksheet. For each interval first play the notes together and apart. Then write down a description of what you hear. For example you might play a tritone and say “Oh that’s ugly!” or a major 3rd and think “Pretty music!” Also you may recognize the interval from another song, for example the start to Star Wars is a perfect 5th and Jaws starts with a minor 2nd. After intervals I would go on to chords and seventh chords. The Holy Grail of ear training is transcription. Guitarist Pat Metheny is legendary for his extensive transcribing. The story goes that when people would visit his practice room they would see stack upon stack of transcriptions! To get started transcribing I would suggest our Woody Says game. It helps build musical memory and pitch identification. Follow this with our Melody Game which also requires rhythmic identification. Also, just listening to a favorite song and figuring it out note by note is great. I would recommend the Amazing Slow Downer for help with the tough sections. 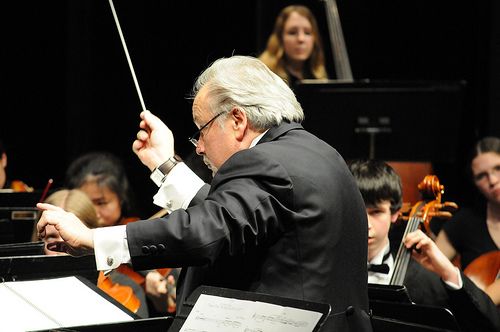 Conducting has similar advantages, especially when it comes to rhythm and a sense of time. With all the focus on the technical aspects of playing guitar, it is important to remember that music is meaningless if it is not expressing something. Singing helps us be expressive players. I’ve written a lot on this in my Secrets to Successful Practice, but it merits repeating. Quality practice is more important than quantity. Whatever you repeat you learn. So if you play a passage ten times with bad technique, guess what? You just engrained how not to play it. Muscles learn through repetition. You need to get something right and THEN play it over and over. Correct repetition. If you play a passage wrong nine times and get it right on the 10th you haven’t learned it! As to how much to practice I recommend our mini report on developing a practice schedule. It’s not enough for our fingers to know the music we play, our brain must know it too! Music can be memorized in many ways. Muscle memory – acquired through physical repetition. Sound memory – Be able to sing the melody to any song. Visual memory – Being able to picture your left hand through the entire song! Analytical memory – Know what key your in, the chord progression, where the music repeats, etc. If you memorize all this information for a song you’ll be much better prepared for performing it. What often happens is that a person learns a song ONLY by muscle memory. They can play it at home by themselves just fine. There is little pressure so the muscle memory (which is in the subconscious) can run things. But, when asked to perform the same piece in front of others things go badly. Why? What often happens is that the conscious memory takes over. The performer asks “What comes next?” And can not give an answer since only the subconscious muscle memory knows how to play the piece! The result is a blackout and failed performance. It’s as if you are riding in a plane that is on auto-pilot, but suddenly you need to grab the controls and don’t know how to fly. I suggest the following routine to practice. Play a piece and sing along with the melody. This will help you learn the piece using all four types of memory. Also it ties all types of memory using the sound of the piece (You are singing for each one). This creates more connections between your mind and the music. It makes sense that sound is central to the process since that is what music is made of! Often I’ll have a student who has a memory lapse. I tell them to sing the next note. They do, and suddenly their fingers remember where to go! Fore more on how to practice please check out out Secrets to Successful Practice report. So you want to be the best guitarist you can be? Now you know how! It’s not a matter of “talent” it’s a matter of preparation! The only “gift” you need to succeed at music is perseverance! This entry was posted on Thursday, February 3rd, 2011 at 1:56 pm	and is filed under Tips. You can follow any responses to this entry through the RSS 2.0 feed. You can leave a response, or trackback from your own site.